Pour cumin, pimentón, black pepper and saffron in a bowl and mix them together. In a salad bowl, combine meat and spices. Add olive oil, a pinch of salt and stir again. Cover and leave it marinate in the fridge overnight. Thread 6 pieces of pork in each skewer. Heat grill on high heat. 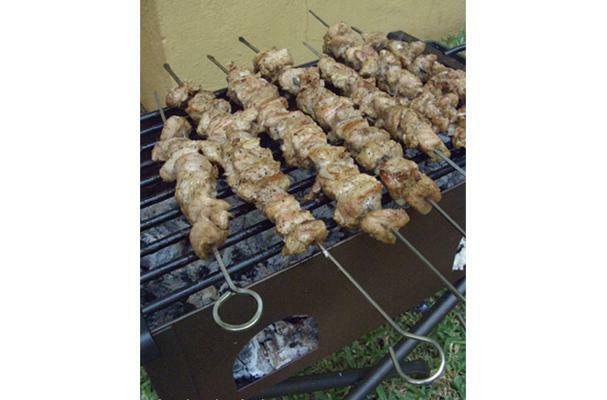 Grill skewers until inside meat is no longer pink or about 5 minutes. If you’re lucky enough to be making them on BBQ, they’ll take a little longer (around 15 minutes) but they’ll taste delicious.